Hey Coffeeholics! Its been a while since I've been invited to a food-related event. 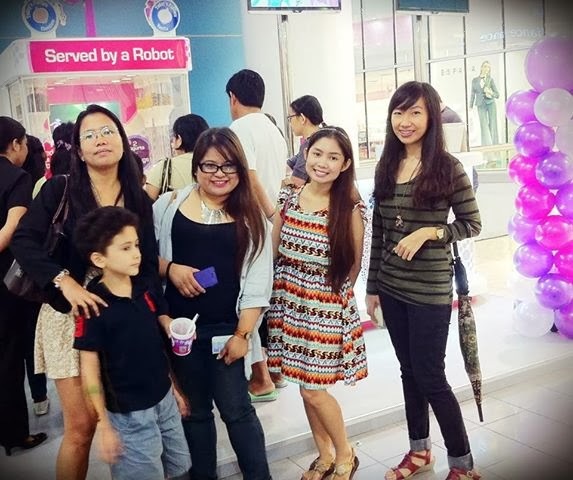 So I was pretty glad that I was able to attend the launching of the latest yogurt craze here in the Philippines - Reis and Irvy's Frozen Yogurt, the World's First and Only Robotic Frozen Yogurt Kiosk. Served by a robot? YES! I'm not joking! When I heard that, it immediately caught my interest. I suddenly had this "Back to The Future" moment coz I never thought that I'd see the day when a "robot" would be serving food, much less Yogurt for the matter. 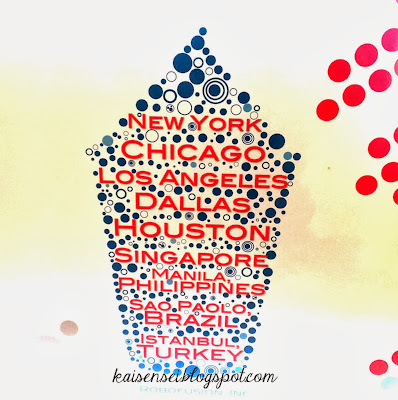 Reis and Irvy's Frozen Yogurt Kiosks are located all over the world. And now they have opened the first one here in the Philippines at SM City North Edsa, The Block, Third Floor. Reis and Irvy's Frozen Yogurt Kiosk already had their soft launch here for about two weeks already before they "officially" opened to the public around the last week of September. Several lucky people were given a chance to get a free taste of Reis & Irvy. 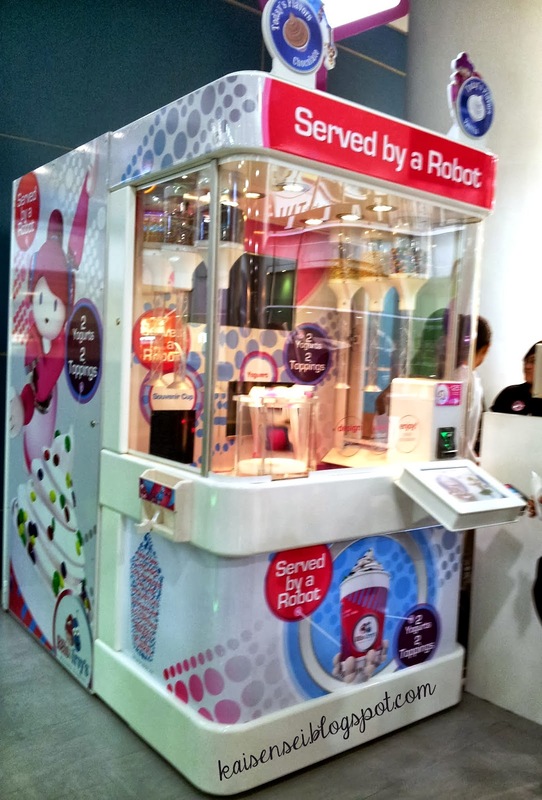 The Reis & Irvy's Frozen Yogurt Kiosk looks a bit like some of the robotic toy machines you can see in an arcade. It can be daunting for those who have never tried it before. Some might have seen the kiosk already but felt a bit shy to try it out because it looks different and unusual. Well then let me encourage you. Don't be shy, TRY IT! Getting your frozen yogurt is super easy! How to get your yogurt at Reis & Irvy's! 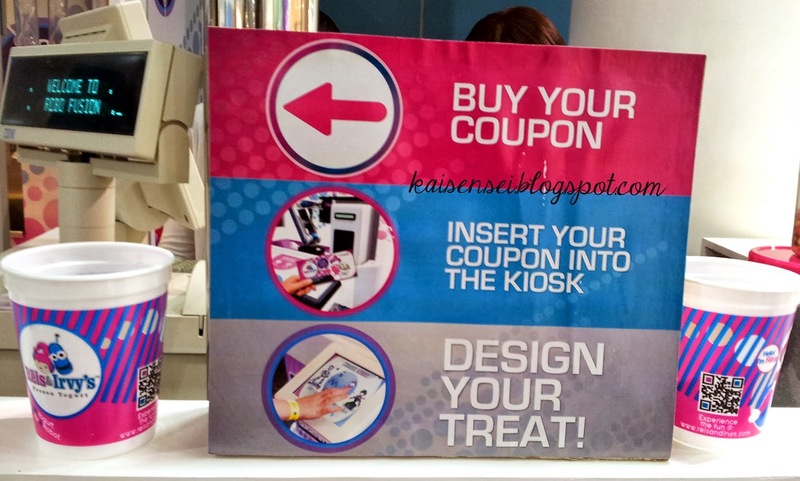 First things first, BUY YOUR COUPON. In other countries, the serving of the cup is bigger and a bit more expensive. After a bit of a market research here in the Philippines, Reis & Irvy's found out that Pinoys like their serving smaller and more affordable. So now the serving cup is only in an 8 ounce cup and only costs Php 125. Yay! 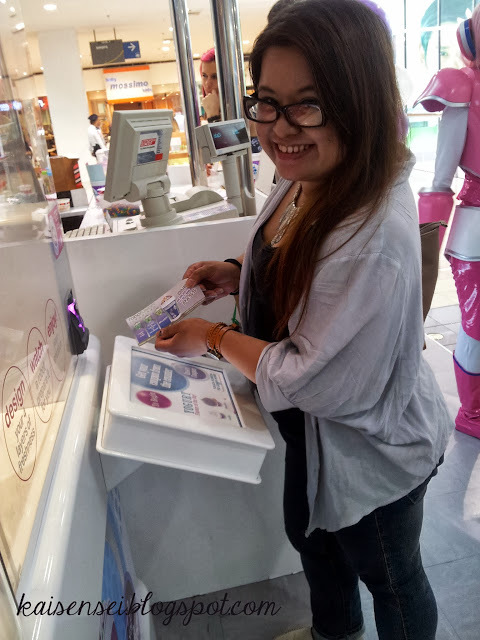 Next you insert this pass to the right side of the kiosk. Its just like a vendo machine! Then there's touch screen interface which gives very simple and easy-to-follow instructions. I don't remember when it appears, but sometime during the choosing process, you get to pick which "robot" will serve you. 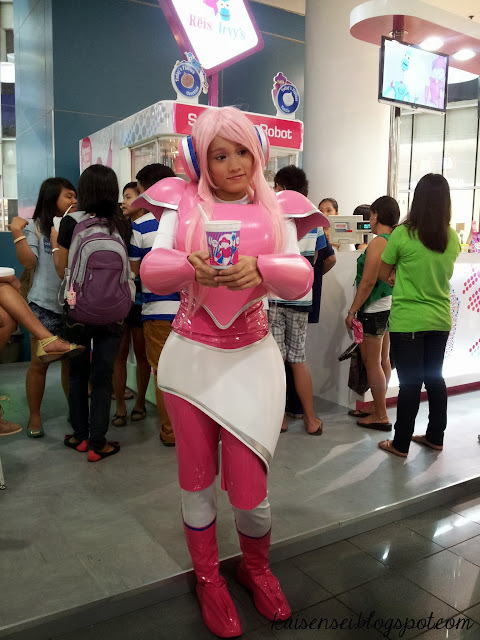 I chose Reis - the pink female robot. That's Reis the robot over there! YES! There are several robots to choose from for the animation in the background. Mind you, the actual robotic arm is only one. You are just choosing what "robot" will be featured to "serve" you. 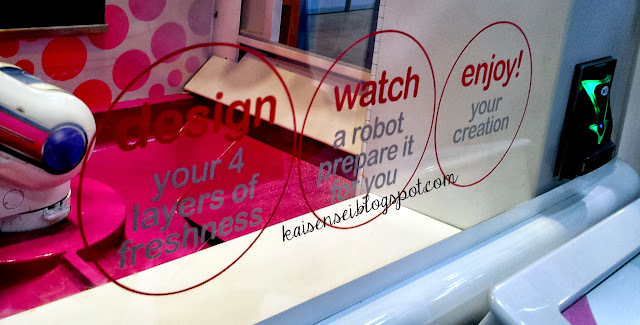 Its coz once you've chosen the robot, it will dictate what kind of "dance" it will do! Yes, the animation AND the robotic arm itself will do a lil dance just for you. Oh yan ha, may dance entertainment ka pa! hehe. I later found out that the animation and design for Reis & Irvy's were done by Filipinos. Naks! One of the unique features of Reis & Irvy's Frozen Yogurt is the 4 layered yogurt experience. 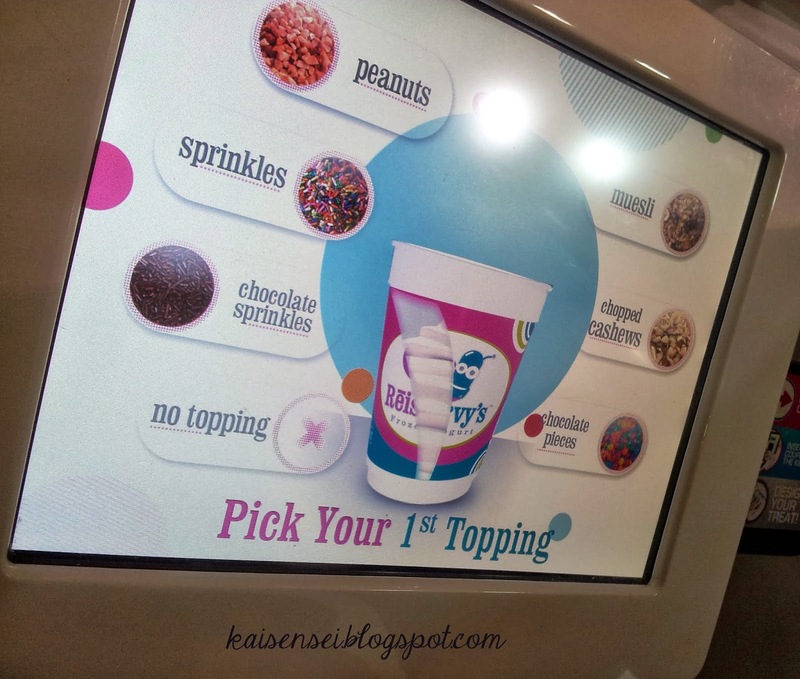 For Php 125, you get your first layer of yogurt, then 1st topping, second layer of yogurt, and the 2nd topping. Toppings vary until supplies last. The toppings available when I was there were Peanuts, Sprinkles, Chocolate Sprinkles, Muesli, Chopped Cashews, and Chocolate Pieces. 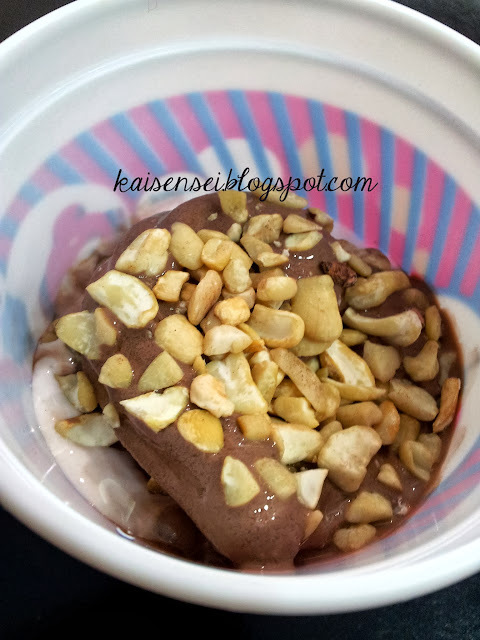 I chose chocolate pieces for my first toppings and then chopped cashews for my second toppings. DESIGN your 4 layers of freshness. WATCH a robot prepare it for you. ENJOY your creation. REIS & IRVY's FROZEN YOGURT. The yogurt that they serve comes in two yummy flavors. During that time, they were offering regular and chocolate flavors. They also offer the combined "swirl" option of the two flavors. I chose regular yogurt for the first layer and chocolate as a second layer. 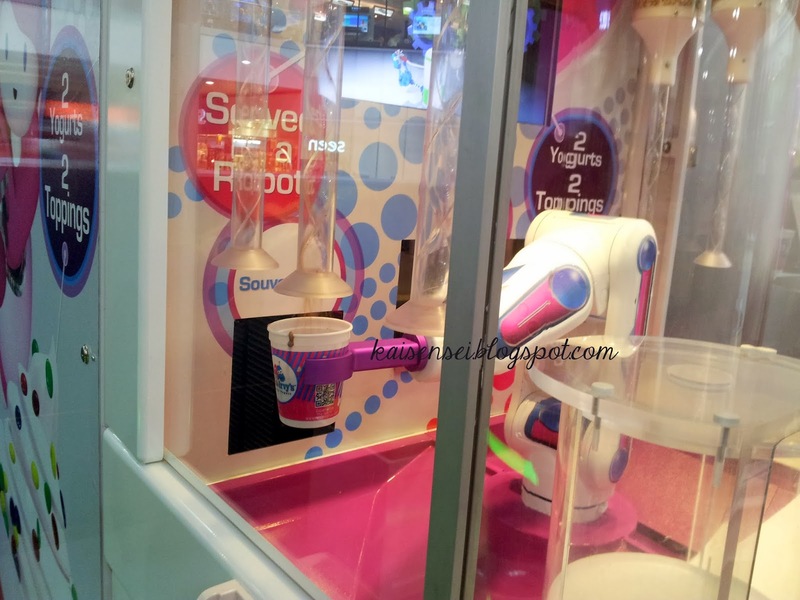 Reis and Irvy's Frozen Yogurt Robot in action! Once all the layers are in place, the yogurt is ready to be served! 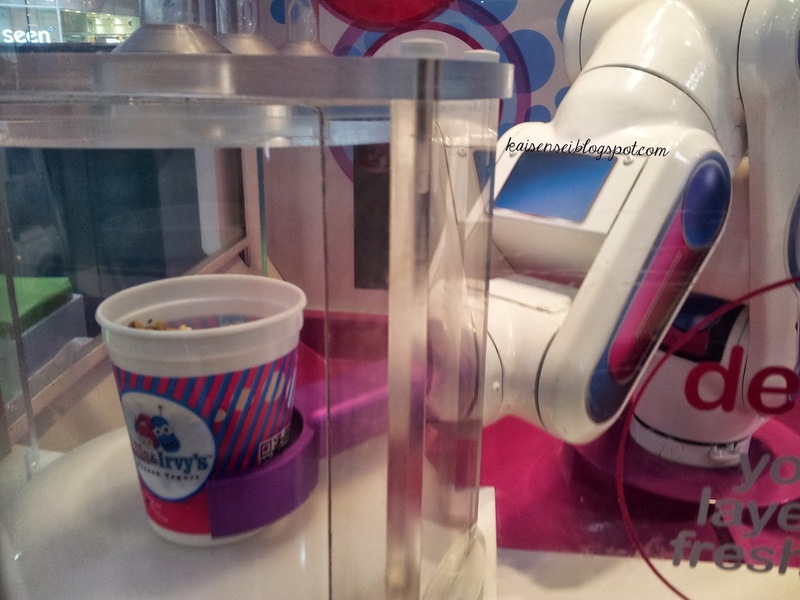 The robot will then gently place the cup in this receiving area with revolving doors. Sosyal! hehe. And VOILA! Its yogurt time! Hehe. It was yummy and filling. It wasn't too tart. 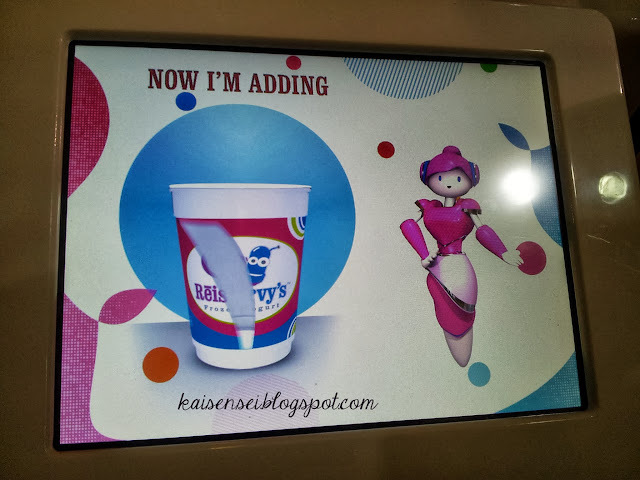 For me, it had just the right amount of tartness that you want in a yogurt. I really liked the 4 layered feature of the yogurt. I love having a bit of crunch in my yogurt. Makes it a more enjoyable experience. My 4 Layered Yogurt from Reis & Irvy's served by a robot. 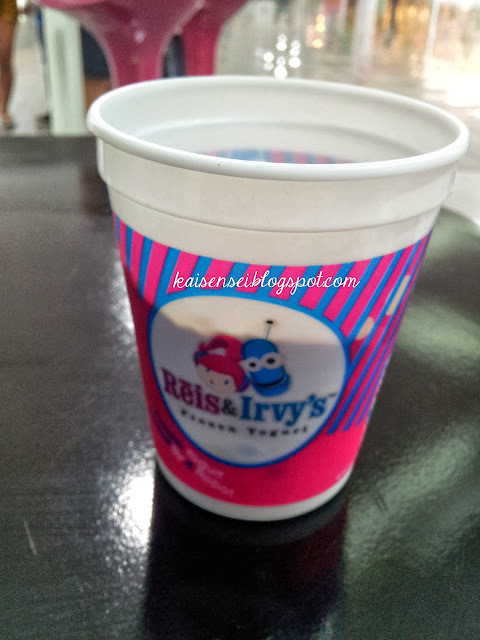 Buying yogurt from Reis & Irvy's is definitely an enjoyable and yummy experience. 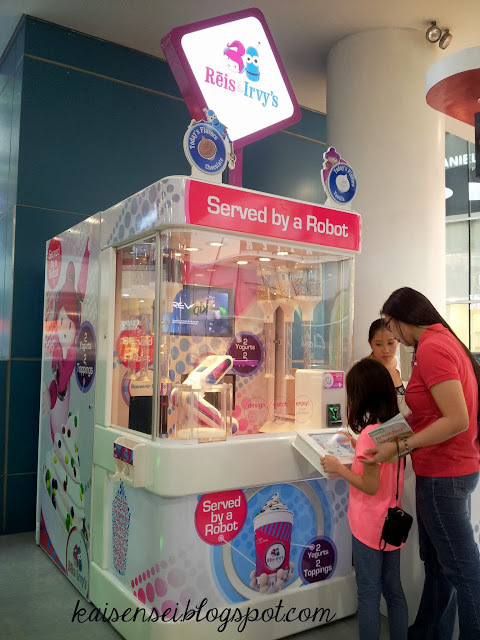 I'm pretty much sure that kids and even teens would find it fascinating to buy at their kiosk because of the sheer novelty of the experience of being served by a robot. Its pretty cool and I recommend parents to drop by with their kids and let them have a bit of a taste of the future with Reis and Irvy's! With Lydia, one of the daughters of the owners of Reis and Irvy's! Photo courtesy of RochKirstin.com Thanks so much Roch! I'm so glad to have met you! Had a lovely time with Hana! It was awesome meeting you! So Coffeeholics! Wanna be served by a robot? 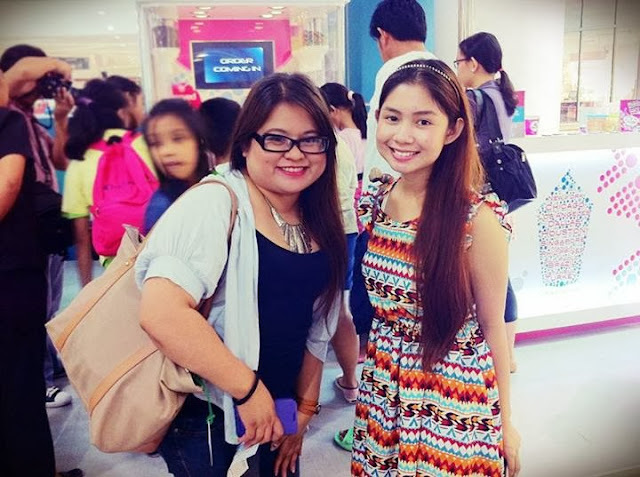 Then do drop by SM City North Edsa, The Block, and don't forget to try out Reis and Irvy's Frozen Yogurt at the 3rd floor. 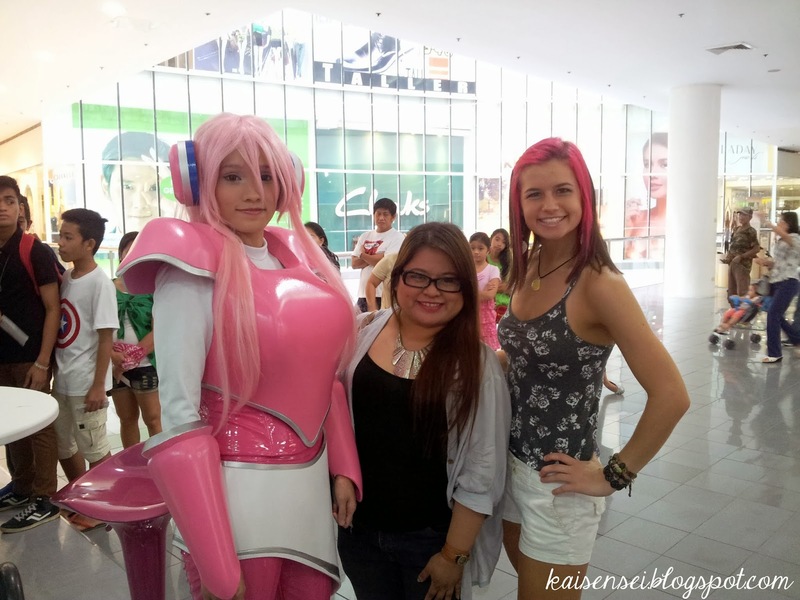 Hopefully in the next few months they will eventually expand to other malls here in the Philippines! Rēis & Irvy’s™ was developed by Robofusion®, Inc., the leader in Interactive Robotic Kiosks. have a robot build it to their exact specifications.